(Pictured Above L to R; Dermot McBride (M J McBride Contractor), Mark Collins (Rolston Architects) and Jarlath Cassidy (Radius Homes). Handover at Laurel Hill Road, Coleraine! 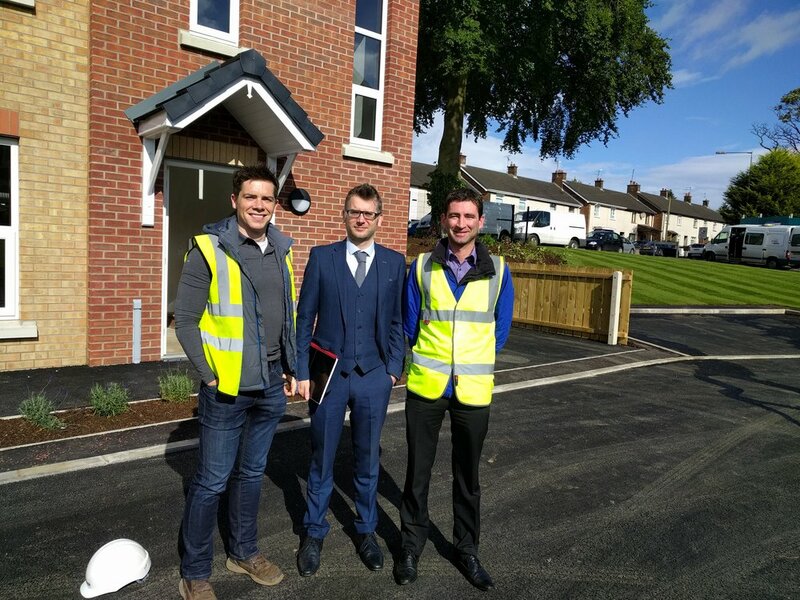 Rolston Architects are pleased to see the handover of another successful social housing project working alongside Radius Homes and M J McBride Contractors. The Development consists of 28 residential units to meet Lifetime Homes and Secured by Design standards. We look forward to working with Radius Homes and M J McBride Contractors in the future!